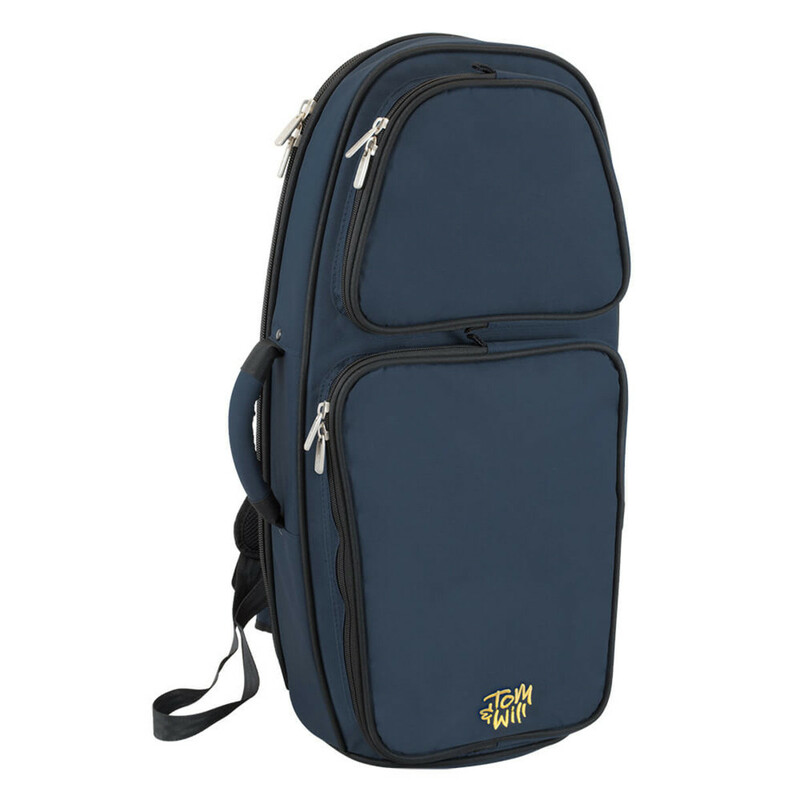 The Tom and Will 26TH Tenor Horn Bag will protect just about any tenor horn in storage and transport. This lightweight and compact bag offers a range of new features including heavy duty zips, breathable pack pad, hideable and adjustable rucksack straps and extra lined pockets. The Tom and Will 26TH bag is designed with the player and student always in mind. Small and lightweight, this bag offers protection in all the right places. High density padding provides protection for the delicate instrument areas as the interior linings are soft and luxurious. The backpad is also breathable for longer journeys. New TWD crossover single zip opening uses heavy duty parts that will last a lifetime. The straps and handles are also string and durable with rivets and cross stitching and high tensile threads. 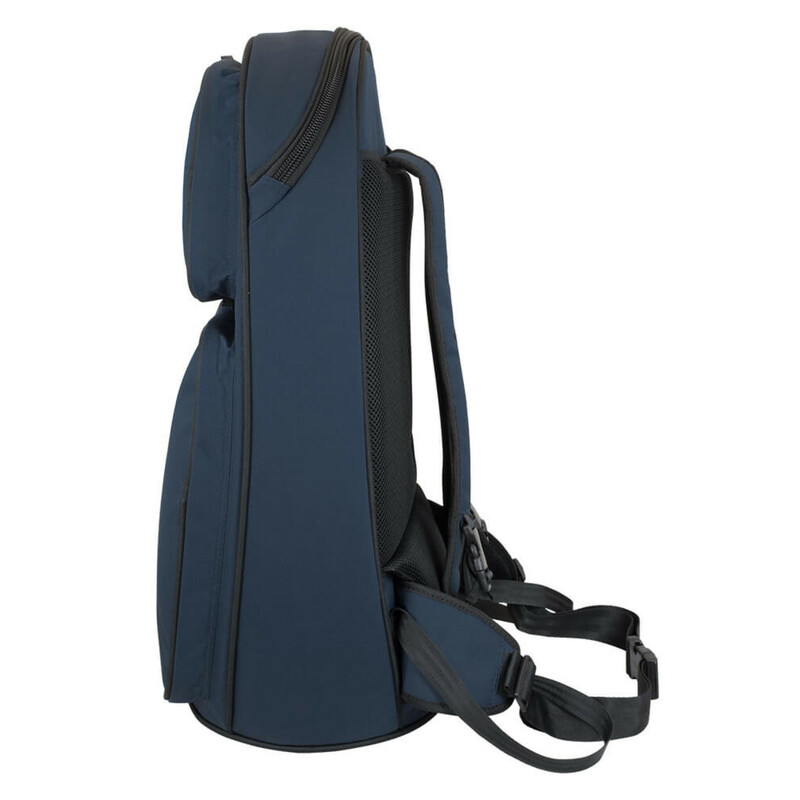 The new hideaway backpack and shoulder strap carrying system is designed to fit all players. The rucksack straps are easily adjustable and also hide away if you prefer to just use one shoulder strap. There's also new side pads and an adjustable waist band and strap which makes for a comfortable and secure fit.